Hopefully your holiday season has been a fun filled time with family and friends. Maybe you were even lucky enough to get a new quadcopter, or got some generous donations into the “prop cash” fund for some new purchases. Whatever your skill level, we thought we would put together a holiday compilation list of articles to answer any questions you might have. We broke this into a few sections; covering everything from learning to build or fly your first quad to holiday deals. Simply browse to whichever section matches your situation and click through a few articles! 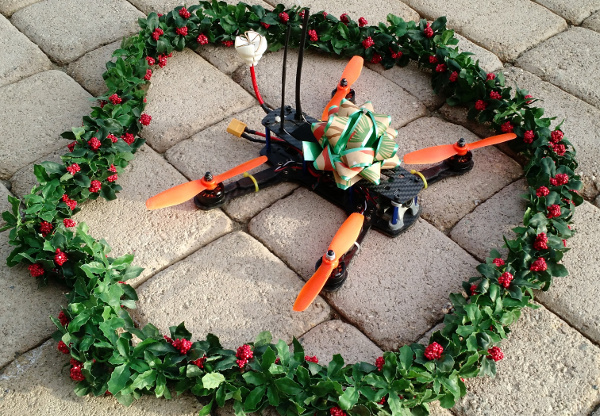 Many of these articles can be found on our Drone Racing Guide page. The Drone Racing Guide is our curated list that covers everything you need to know to easily get into drone racing! And of course, to absolutely everyone who had visited our site over the past year, happy holidays and thank you for your awesome support! Just got a pre-built or ready to fly drone and are looking to learn? So, you got a shiny new drone you are anxious to take out and fly? Great! These articles should get you off the ground and learning in no time! Training exercises, equipment recommendations, and guides for building your skills can be found here. Got drone parts and are ready to build? Get a new kit or maybe some upgrades for your battle-worn quad? Lucky! This section covers everything you need to know about building – starting from assembling the parts all the way through final cleanup and software setup. If you are upgrading or building your first quad, definitely check out our guide on crash-worthiness for ideas to keep your quad in the air longer! 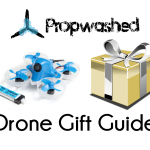 Got cash to spend on new drone stuff? Maybe instead of a new drone you received cold hard cash to spend. Perfect! If you are looking for some buying ideas and holiday sale listings, check out some of our favorites here. 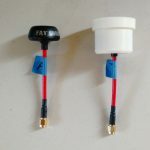 We also included some of our articles that cover first timer purchases – like soldering irons and consumables – for those completely new to the hobby. RMRC – $10 off for every $100 spent. Huge variety of quad components and gear. …and if you want to rep Propwashed at the field, check out our new selection of shirts! What order should quadcopter gear be purchased in? Looking to get into the hobby with other pilots? Perhaps you are already a seasoned pilot that just got some new goodies that you want to show other enthusiasts? What better way than to find some like-minded hobbyists to chat with or meet at the field? Here you can find links to some larger communities! An additional tip if you are on Facebook – try searching for local groups there. Similarly, checkout Meetup.com in your area for drone events and clubs. …and last, but hopefully not least, our very own Facebook page, YouTube channel, and Instagram accounts! And of course, you can always ask us! Have a question that nothing above seems to fit? Well, ask away! We love to help out our fellow hobbyists in any way that we can. You can always drop us a line at community@propwashed.com or leave us a comment below. Similarly, we just started up our own subreddit, where you are welcome to ask questions and share ideas. Again, thank you for a wonderful 2016, and we look forward to doing a lot more in 2017! 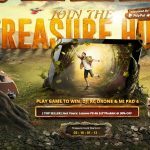 Deal alert: GearBest September Treasure Hunt!